This is a view that I've been trying to get for years. 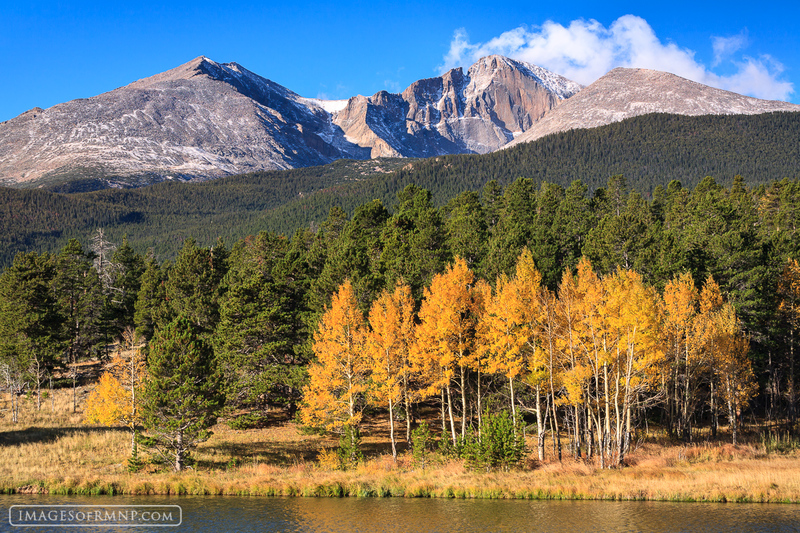 This shows Longs Peak, Mount Meeker, Mount Lady Washington on a beautiful October morning with golden aspen. Photo © copyright by Erik Stensland.